Ninja Popups - is it the best, cost effective WordPress popup plugin? Popups are wildly popular marketing message type on the internet today. Thousands of people are looking for the best popup plugin for their WordPress sites everyday. And the problem is there are plenty of choices. Both free and paid. Popups have always been the center of a fiery discussion. Some marketers out rightly favor them, the others criticize its annoying possibilities. 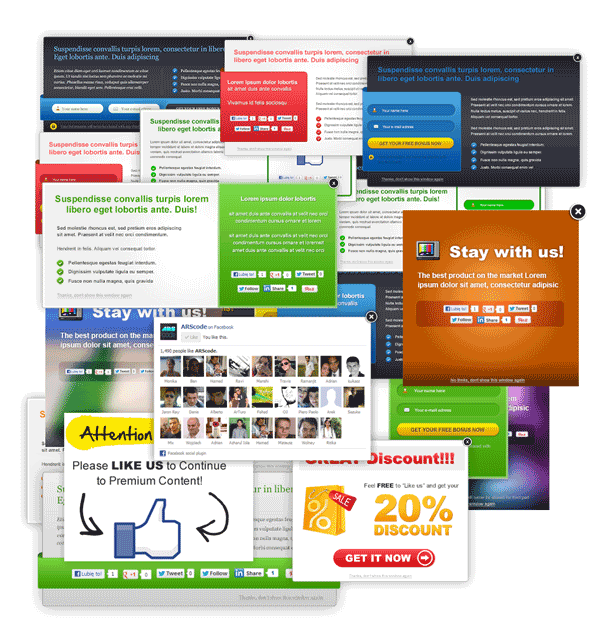 However, one cannot ignore the immense power of conversion that a popup possesses. In this post, we grill totally mind blowing popup plugin Ninja Popups with Icegram. Nina Popups is a highly popular WordPress popup plugin, sold on CodeCanyon and developed by arscode. Ninja Popups has been around for quite some time and has an excellent collection of themes and features. We will try and give you a fair, unbiased review of both these plugins, so you can make an informed choice. Ninja Popups v/s Icegram. – are they really comparable? The whole point of popups is to draw your customers’ attention. So themes do carry a lot of weight. Ninja Popups provides a whooping 22 theme pack. And they have more available. These are well designed, appealing and easy to integrate. The only downside is that if you wanted to customize them, it would be difficult. For people looking for a quick, ready made theme, Ninja Popups certainly has an upper hand. Ninja Popups and Icegram both have themes that are responsive. Styling – Minimalist or Extravagant? More choices, the more confusion! So Icegram will be a treat for guys who love simplicity. 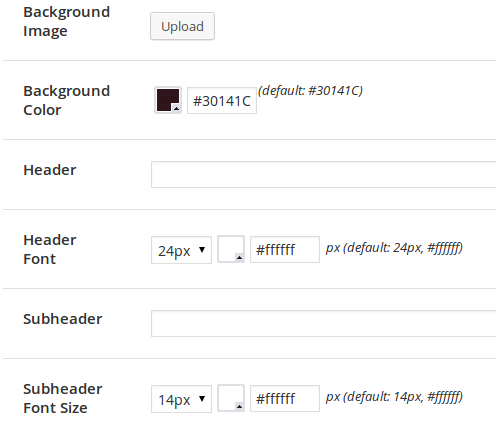 It gives you basic options for styling – background color and text color. The rest of the styling is in themes. This makes it much quicker. If you know CSS, you can fully customize Icegram messages by adding CSS to the popup body itself – Icegram’s WordPress editor supports adding custom CSS and JS. Ninja Popups allows you to set the opacity percentage and also a image if required. Icegram doesn’t provide any overlay related features. Ninja Popups allows you to customize how the close button looks. Icegram does not have this option. 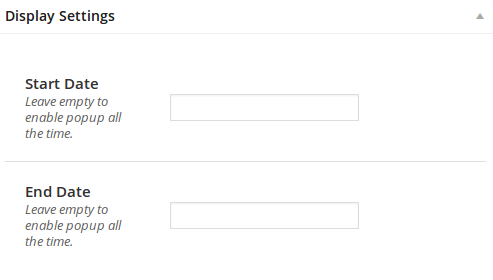 Both plugins allow you to target your popups on particular pages or posts. Icegram allows targeting by users and devices also – which can be very useful. Icegram puts popups (and other messages) together in a campaign. You can define targeting rules for the campaign, and all messages within that campaign will be shown when the rules match. So you can create a campaign that will be shown on the homepage, and which will show an action bar at the beginning, a messenger after 5 seconds and a popup after 10. Ninja popups does not offer such flexibility because it’s only used for popups. In terms of scheduling, Ninja Popups lets you set a start date and an end date. It also allows you to set the amount of seconds before the popup shows up. Icegram also offers both these options, but in a slightly different manner. The reason for this different approach is because Icegram is made of campaigns, and each campaign can contain multiple messages. So scheduling date range, is part of the campaign. Whereas display delay time is on a message. The time when the popup should show up while on a page, is setup under the campaign where all messages in the campaign are shown. Ninja Popup provides for exit popups. 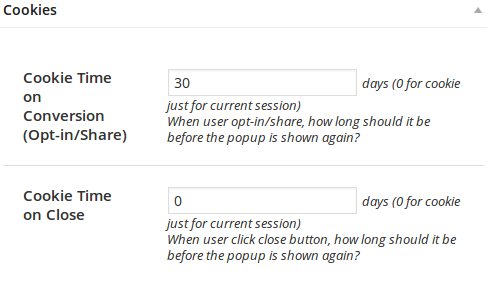 This means a popup will show when the user is about to leave your page. Such popups have converted better than any other popups and this feature is very useful. Icegram has a premium addon Behavior Triggers and Advanced Targetting which provides exit intent and alot more powerful triggers. In Ninja Popups, you can set a cookie and decide how often a user should see a popup. Ninja Popups also gives one the privilege to use custom js and css for your popups. 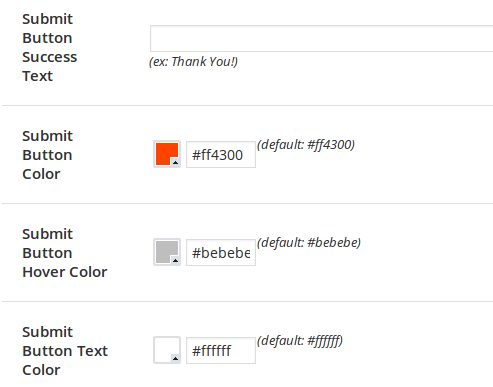 With Icegram you can add custom JS or CSS directly to the message editor (use the Text mode to do this easily). Icegram smartly preserves your custom code and renders it along with the popup. Too cheap to be hip? We don’t think so…. Ninja Popups is modestly priced at $22. And Icegram is free! All said and done, the amount of value that they offer have left customers boggled. Sharanyan says “The plugin is really amazing, you must charge for this instead of giving it free..”. Chris G. dropped a comment on FaceBook saying I’m really not sure how such a great plugin can be free.. So both are great deals! Ninja Popups now also provides A/B testing and Analytics… Icegram is soon catching up and will be rolling out these features along with many others in future. If you just want popups, Ninja Popups is a great deal for just $22. If you want more extensive targeting rules and want to use new, innovative message types that convert even better, go with Icegram. Let us know what you think… which one works best for you and why? We were using Ninja popup in our website. But we decided to test Icegram because we were facing with some js errors due to Ninja popup incompatibly with our theme. We installed Icegram some days ago and it’s working well. Many thanks both to Ninja popup and Icegram developers for this amazing plugins.